January was a robust and varied month for Ovations Offstage programming. Offstage favorite Laura Kargul, professor of music at University of Southern Maine, started us off with a compelling lecture and piano recital bringing to life the idea of the “Orchestra in the Piano.” Laura gave her insight on how composers through history have used the piano to sound like many different instruments prior to the mainstage piano performance by Lukáš Vondráček. We also had the pleasure of working with Emily Isaacson of the Oratorio Chorale and her choir Sweetest in the Gale for a masterclass and lecture/demonstration with Roomful of Teeth, exploring how the vocal techniques that Roomful employs such as yodeling, informs the composition of the pieces they perform. Emily also interviewed Brad Wells, Artistic Director of Roomful of Teeth, before the performance to provide a personal and very informed background on Roomful’s creation. During the performance, Roomful of Teeth welcomed local girls’ choir Pihcintu to the stage to perform the finale “Quizassa.” See the video below. 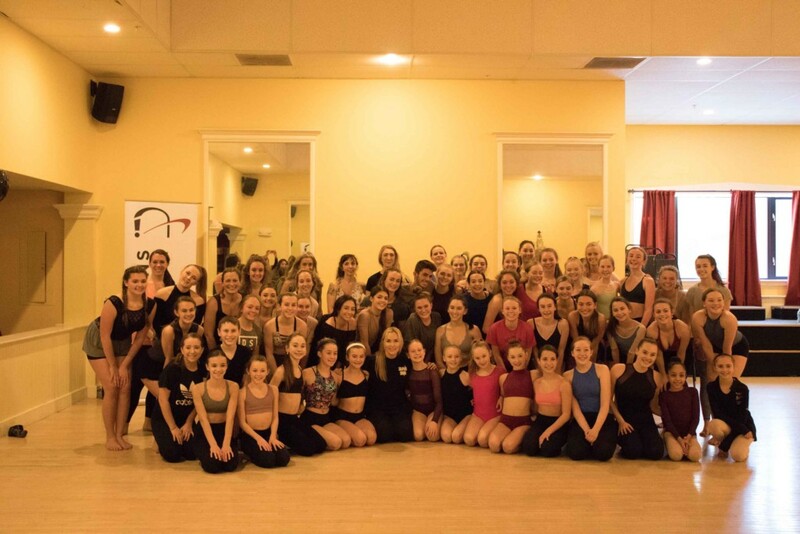 At the end of January, Ovations Offstage worked with local dance studios Dance Studio of Maine and Studio for the Living Arts to co-present a masterclass at Avant Dance Center in Westbrook taught by Shaping Sound Assistant Choreographer Channing Cooke. Sixty-one dancers from nine different studios across Southern Maine and Seacoast New Hampshire were taught a section of choreography from Shaping Sound’s performance “After the Curtain.” That evening, before the performance, local dance instructor Andrea Tracy gave us a brief history of contemporary dance and discussed choreographers and leaders in contemporary dance who have influenced Travis Wall and the founders of Shaping Sound. Masterclass with Shaping Sound’s Channing Cooke. Did you see one of our high-school Offstage Ambassadors at any of our events? We try to introduce them whenever appropriate, with the hopes that audience members will come say hello, and learn more about our new semester-long program!